Is Your Messy Desk a Sign of a Cluttered Mind? 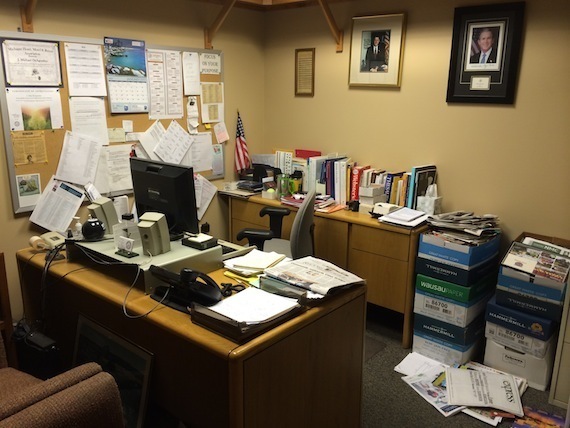 Are you cluttered or creative if your desk looks like an F5 tornado rumbled through? HR managers in the U.S. are split on their attitudes toward messy desks at the office. In a new survey from the OfficeTeam staffing service, 68 percent of HR managers indicated it was at least somewhat all right for your desk to be untidy. Nine percent even said it signifies that you're creative. But 32 percent of HR managers said they'd wonder whether someone with a messy desk also would be a mess when it comes to organization and effectiveness. "Although not everyone cares about how your desk looks, having a messy workspace could lead others to question your professionalism," Robert Hosking, executive director of OfficeTeam, said in a news release. "Keep your desk tidy, and you'll be able to find what you need more quickly and increase your work efficiency." Gina Dilusant, a publicist at PR Revolution in New Jersey, said she and her officemate maintain spotless, organized desks. 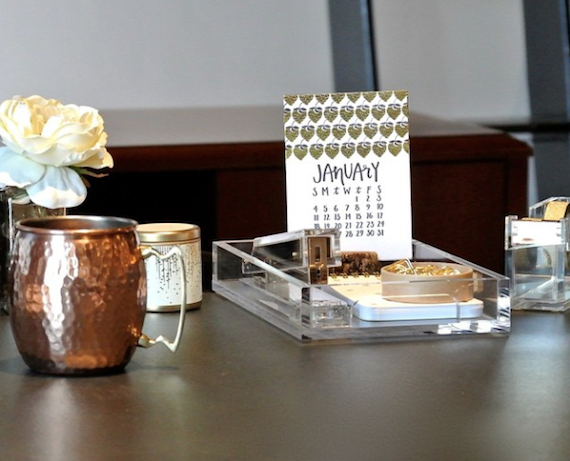 "We pride ourselves daily on our desks' appearance, and we do not allow ourselves to get cluttered," Dilusant said. "We feel desk appearance helps our overall work environment as well as the quality of our work because we can remain focused." She added: "When other desks in the office have things out of place or look disheveled, it definitely irks us." Neta Yoffe, president of her own PR firm in New York City, said she's not irked by messy desks. In fact, she takes pride in her own messy desk and insists she's organized. "So while you may see coffee cups, water bottles, papers, notebooks, products and client info throughout my desk and space, I know exactly where everything is," Yoffe said, "and if you ask for it, I will find it for you in five seconds." Actually, Yoffe said that throughout her career, the more disorderly her desk has become, the more successful she's become. "They say that the most creative minds have messy desks, so I'd like to think that my thought process goes hand-in-hand with my business," she said. "It seems that every time I try to tidy up my desk and office space, more work piles up and things get messy again." That might not be such a horrible thing. Researchers at the University of Minnesota's Carlson School of Management determined that working at a clean desk may promote healthy eating, generosity and conventionality, while working at a messy desk may spark creative thinking and new ideas. The research was published in Psychological Science, a journal of the Association for Psychological Science. "Prior work has found that a clean setting leads people to do good things: Not engage in crime, not litter, and show more generosity," researcher Kathleen Vohs said in a post on the association's website. "We found, however, that you can get really valuable outcomes from being in a messy setting." Nonetheless, a messy setting can hack off your coworkers. A survey by staffing company Adecco found that 30 percent of American workers are annoyed by unkempt desks and workspaces. 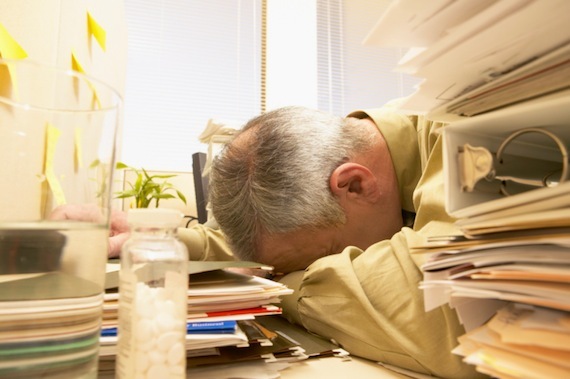 "If you have a cluttered office, you risk being seen as inefficient or not on top of your work," organizing guru Peter Walsh told Forbes.com in 2011. "[Disorganization] suggests a degree of incompetence that clouds your abilities. You run the risk of jeopardizing your chance of a promotion." 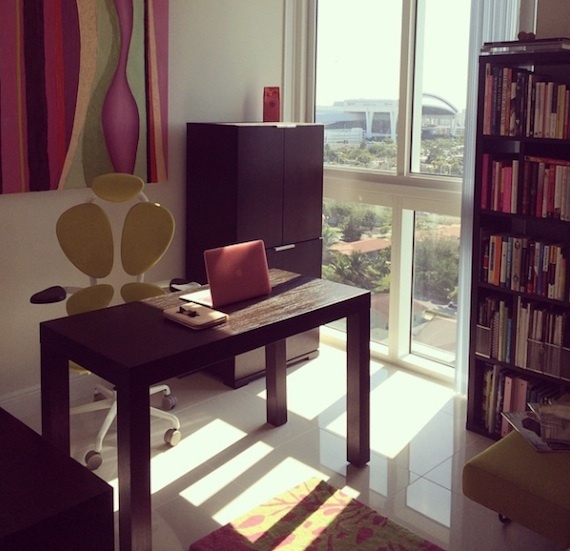 Deidre Woollard, communications manager at real estate brokerage Partners Trust, may have figured out the ultimate solution to the disorganization dilemma: She ditched her desk at the end of 2014. Now, Woollard nomadically shuttles from workspace to workspace at her company's seven offices in Southern California. "It forces me to keep no paper," she said. "If I can't carry it with me, it has to go." Woollard said she prefers the "serenity" of whichever clean desk she picks, and then she tidies up at the end of the day "like a hiker in the woods -- I pack out what I pack in."